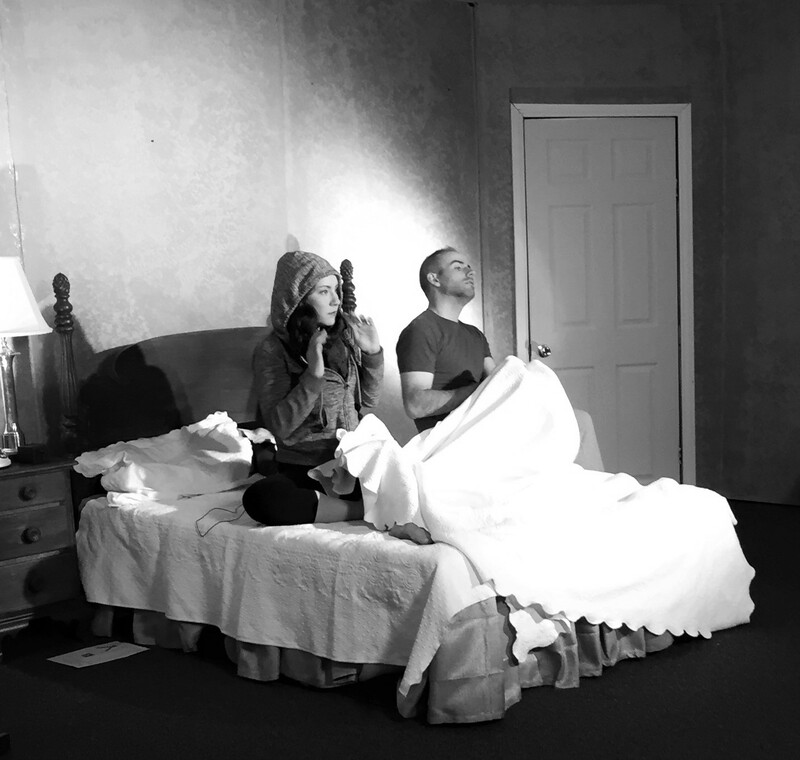 Ever experience where your spouse is to cold and you’re too hot? Or your spouse is to hot and your freezing. Well, we can make sure your home is as comfortable as possible. The right combination of heating and cooling, will bring you and your family a level of comfort like never before. Especially in Rochester, New York; one of the few cities in the world where you can personally experience all four seasons in one day. And since we are moving into the summer season (Hopefully Rochester ) let me just tell you some information on our cooling service! We at High Performance are fully certified and highly trained! With our professional installers years of experience installing cooling equipment and receive daily training to stay up to date on the latest. They’ll treat your house and possessions with the utmost respect. Their first priority? Your cooling comfort. So remember Rochester, Temperature not right day or night, call HAROLD! (585) 3-HAROLD. 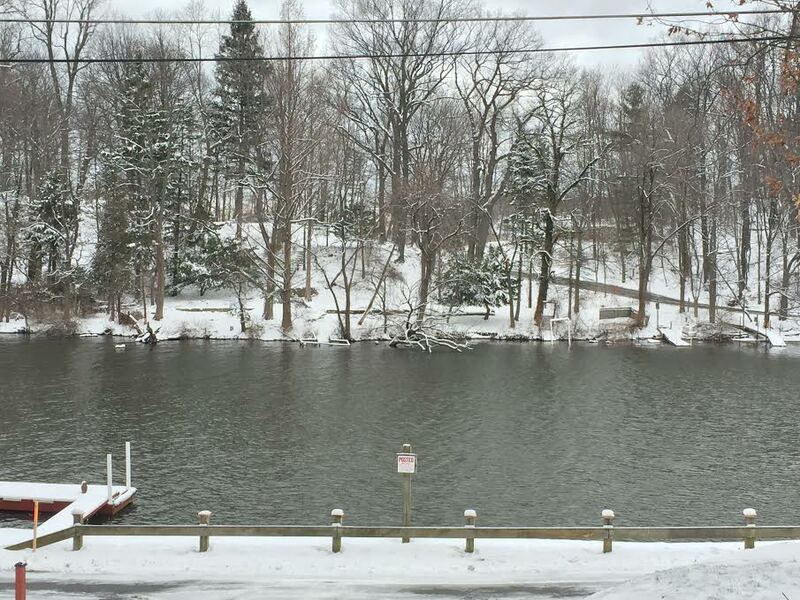 We are sorry it is still winter #Rochester, but we can help. For the most part this was a very easy winter on us upstate New York residents. Unfortunately winter last a little longer here. We promise you that soon we will be talking about air conditioners, but for the moment lets cover heating, hopefully the last time this winter. 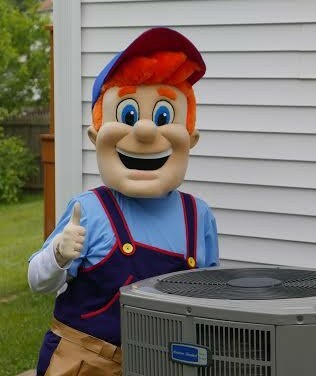 Harold and we are at your service for repairs, tune-ups, and installation for furnaces. Even if winter is almost over, why not take advantage our teams quality service right now! Put your furnace worries at rest for next year all together, and be covered now until spring really gets here. In fact, visit www.happyharoldheating.com for today’s coupon with our services. Then give us a call at (585) 3-HAROLD, and well be on our way! When it comes to Heating, we and Harold cannot be beat! Based on years of experience, we have the most qualified furnace service team out there. Our team fully understands the concepts that make your heating equipment function correctly, so we install and maintain heating equipment of any brand. Also, don’t forget, at High Performance, we are the boiler experts. 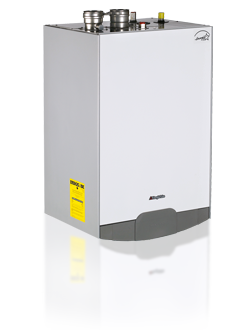 Call HAROLD today to find out about all the different options with Boilers. We guarantee we will find you the best possible fit for your needs. Harold will offer the best service and care for your water boiler that you will ever need. Whether it is boiler installation, boiler repair, boiler maintenance or boiler cleaning; we ensure quality performance in addition to precision and accuracy when working on your Boiler in Rochester, NY. Oh! And by the way we guarantee your boiler repair for a full Year! Call High Performance Heating and Cooling at (585) 3-HAROLD today, and we promise will be talking about sunshine, baseball season, and air conditioners soon #Rochester! Heating and Cooling Contractors | Daily Training! causes the home owner to continuously have problems which require repairs. The cost of those repairs can really add up over time. Take for example, this radiant system we encounter was installed completely wrong. To the average heating and cooling contractors, it was installed properly and they would be non the wiser. To us, we could see the mistakes as clear as day, he was having problems with the system not running, all during winter. Now he has to dish out $2,500 to have everything ripped out and installed correctly, by professional highly trained technicians. 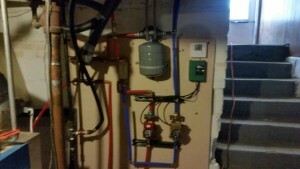 A Radiant system that was installed improperly. The trained professionals at High Performance Heating under go rigorous training before they enter the field. After that they receive daily training from the President of High Performance, Matt Nicodemus. Our reviews speak for themselves. We have had numerous clients call us up, telling us how the heating and cooling contractors they previously had at their home either did a total hack job or just completely installed their equipment wrong, so their furnace or boiler would not run properly. Instead of dealing with the head aches that come with having to spend more money to get something repaired that you just paid to have put in. Give High Performance Heating a call 585-426-3004 we install all of your equipment the right way the first time, saving you time and money that can be spent on your family, instead of having to pay another heating and cooling contractor to come and fix the mistakes of the first contractor. Space heaters are a great alternative source of heat people use in their homes, but is everyone using them in the safest manner? 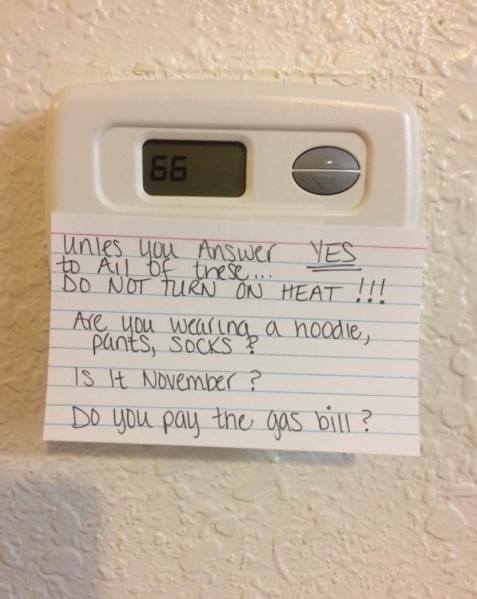 With the bitter cold we have been forced to adapt to this winter, people are really experiencing the inefficiencies of their home. 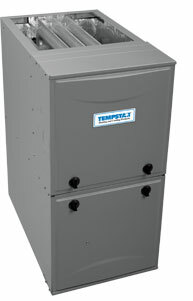 Furnaces might be struggling to handle the stress of maintaining a comfortable temperature. Most people don’t take any safety into consideration when using space heaters. As a company with values spread through their customers and community, we want to provide you with proper knowledge in safety, we provide customers with space heaters when waiting for a new furnace to be installed or to get through a night or weekend to keep the final bill down. As of Friday 2/20/15, almost all of Rochester is sold out of electric space heaters. So our highly trained technicians put together a comprehensive safety guide so you can make sure that you and your family are safe, considering almost all of Rochester is using space heaters. When using a space heater, make sure you remember the 3 foot rule. Do not put anything within 3 feet of your space heater, especially anything that can burn easily (clothes, sofas, beds, papers, curtains or other flammable materials). Remember to turn space heaters off when leaving the room or going to bed. Do not place space heaters under desks or other enclosed areas. Ensure that your space heater is on a non-flammable, stable, and level surface- located where it will not be knocked over. Never operate a heater you suspect is damaged. Before use, inspect the heater, cord and plug for damage. To prevent electrical shocks and electrocutions, always keep electric space heaters away from water, and NEVER touch an electric heater if you are wet. It is a good idea when buying a space heater to check the box or with a sales person if the heater is safety-certified. A certified heater will have a safety certification mark. Never run the heaters cord under rugs or carpeting, this can damage the cord causing it and near by objects to burn. Don’t use portable propane space heaters indoors or in any confined space unless they are specifically designed for indoor use. Even then, make sure they are properly vented. Using gasoline or kerosene space heaters indoors is very dangerous, they emit carbon monoxide which is odorless, tasteless and colorless. You won’t know it’s there until it’s to late and by then the damage can already be done. Take a look at our carbon monoxide guide, knowing the warning signs of carbon monoxide poisoning could potentially save lives. If you’re tired of the inefficiencies of your heating equipment, which cause you to use space heaters, give High Performance Heating a call, 585-426-3004. Our Highly trained technicians can evaluate your home and heating equipment to determine the best course of action to get your home heated properly and comfortably. Most new heating and cooling system come with a 10 year warranty. If you recently moved locations, don’t forget to check the warranties of the house’s comfort appliances. The heating and air conditioning systems in your new home should enable you to live up to the level of comfort you expect. If you rely on High Performance Heating, Cooling, and Hydronics for your heating & cooling service or furnace repair, you will have peace of mind knowing your warranties stay on record at all times. The exact details of your warranty vary from brand to brand. Stay alert to the conditions and stipulations outlined in your comfort system’s record. A common stipulation includes an annual furnace or air conditioning service and cleaning. You won’t want to skip this obligation because you may end up paying expensive repair bills after a breakdown. If you stick to a regular maintenance schedule you may avoid the cost of simple repairs. A check-up also ensures that your system will maintain temperatures without wasting energy. If you want a heating and cooling system to last as it should, let the experts at High Performance Heating, Cooling, and Hydronics (air conditioning repair Rochester NY) help you get the comfort you want and keep the warranty you deserve. Your home’s heating and cooling systems are a huge investment. If you have ever had to replace a furnace or whole home air conditioning system, you realize just how huge of an investment it is. 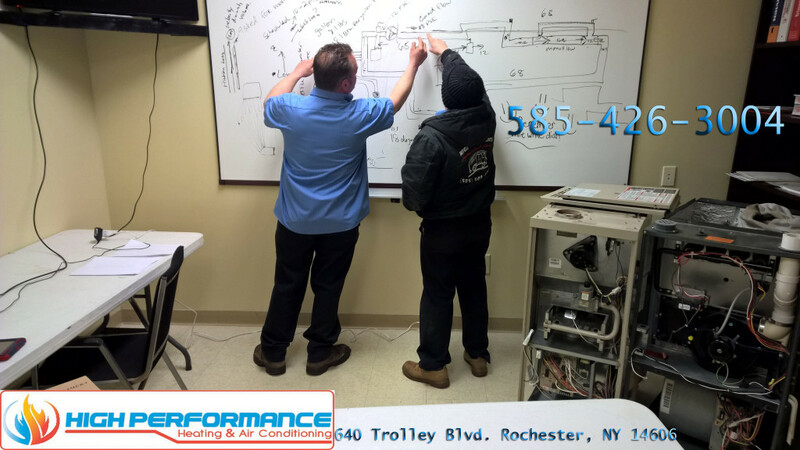 With the help of High Performance Heating, Cooling, and Hydronics (air conditioning repair Rochester NY) and proper attention to the heating and cooling maintenance of your home’s systems, you can enjoy heating and cooling as it should be enjoyed, and relatively worry free. 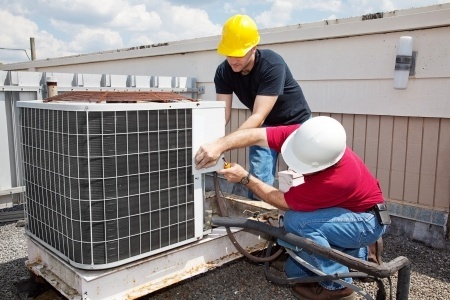 All heating and cooling maintenance needs to be performed regularly. Many people incorrectly assume these systems need attention only when they break down. But when they receive repeated checkups, they will likely last longer and help you endure even the toughest winters and stickiest summers. If ignored, however, they will probably fail and create extra expenses. 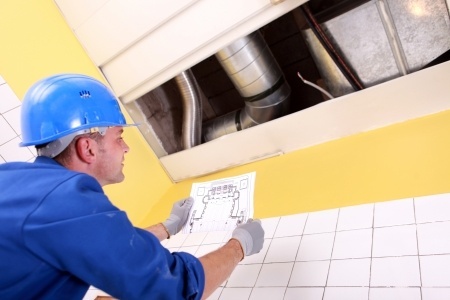 Regular heating and cooling maintenance checks ensure the system performs well. In order to run smoothly, the system requires cleaning and minor adjusting. When you schedule your furnace or air conditioning system to be inspected on a yearly basis you can potentially save on energy costs. Before you next hit the switch on your heating and cooling system, make sure you establish a regular maintenance schedule for all the systems in your home by calling the professionals at High Performance Heating, Cooling, and Hydronics (air conditioning repair Rochester NY). When was the last time you had your air conditioning system checked out? 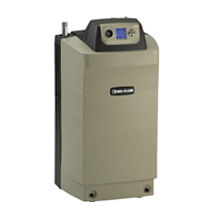 When is the last time your furnace was cleaned? What about the boiler maintenance? 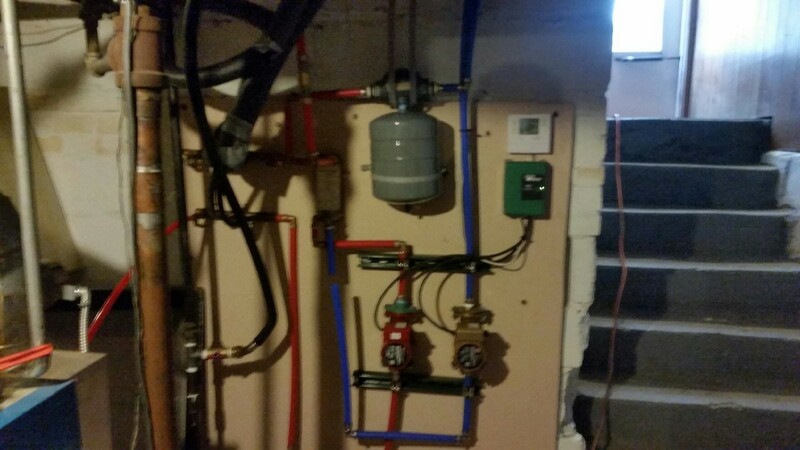 High Performance Heating, Cooling and Hydronics of Rochester, NY, installs quality furnaces Rochester homes and businesses need at competitive and fair rates. Choose your furnace and call today for expert heating and furnace repair Rochester area residents can count on. Although the following are specific gas and electric furnaces we have found to be the most reliable in our experience, we are open to your suggestions pertaining to other specific furnaces or manufacturers to meet your heating needs. If you desire a different furnace or air conditioner, give us a call and we will be happy to accommodate! We are fully capable of installing any heating or cooling system you may need. We specialize in cleaning, servicing, installing and replacing parts, such as furnace filters systems need to keep running smoothly. If you have a question about your preferred brand feel free to call (585) 426-3004 or click here to schedule an appointment. Our secondary heat exchanger extends heat transfer for higher efficiency use of heating fuel and is backed by a limited lifetime parts warranty. Our boost ECM, an electronically controlled multiplespeed blower motor, provides airflow optimized for your home’s needs. The blower motor offers higher efficiency performance than most standard motors. The Bryant® Perfect Light™ igniter is one of the most reliable and robust available so you can count on heating when you need it. 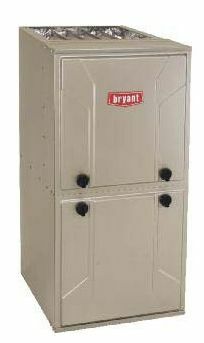 Bryant’s adjustable constant fan function, as well as SmartEvap™ technology, which provides improved moisture control when paired with an air conditioner or heat pump. Energy-saving high efficiency operation of 97% AFUE. 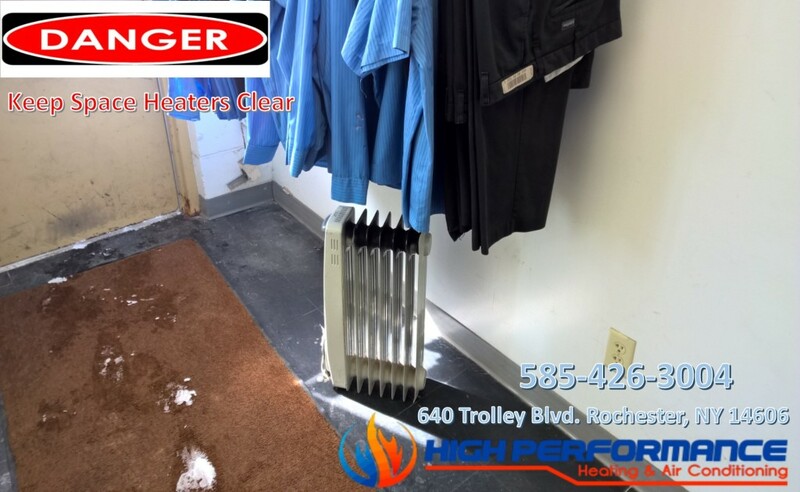 At High Performance Heating, Cooling & Hydronics, Rochester NY, we are Experts in Hot Water Boilers, Radiant Heat Systems and other in floor heating homes are seeking today. Please review our boiler products below. Call today for expert boiler repair and installation in Rochester NY. These are certain the Hot Water Heating products and brands we have found to be the most reliable; however in this ever-changing age of heating and cooling technology, we stay up to date on the latest brands and products so as to install any heating and cooling system you desire in the proper situation. If you have a question about your preferred brand feel free to call (585) 426-3004 or click here to schedule an appointment . High Performance also carries hydronic zone valves, circulation pumps, expansion tanks, and Air Eliminators for service of your Radiant Heat System. 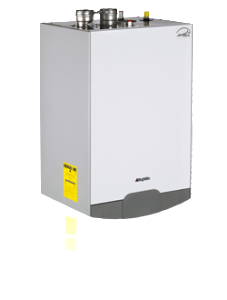 The Prestige Excellence Series combines a High Efficiency Condensing Stainless Steel Wall Mounted Gas Boiler with a built-in “Tank-in-Tank” Indirect Fired Water Heater. Original 316L/444 stainless steel fin tube heat exchanger. Factory wired and installed probe-type, Low Water Cut Off. Corrosion resistant CPVC Flue Collector. Control features simple text display, outdoor reset, priority domestic hot water and integrated multiple boiler control capability for up to 16 boiler modules. Simplified electrical connections with removable terminal block. Replacement ready with 1-1/4” piping connections and low pressure drop – no high head pump required. Jacket slides on and off for quick access.